PayPal could well be set to move further into high-street shopping after acquiring iZettle for $2.2bn. The Swedish firm is best known for its portable point of sale (POS) readers, which can plug into a smartphone or tablet to allow businesses of any size to quickly and easily begin accepting card or contactless payments. 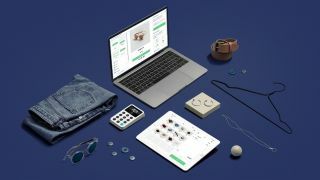 The deal could well see PayPal move out of the online world and become a recognised form of payment in shops using iZettle's card readers, competing with the likes of Apple Pay. Reports last month suggested that PayPal could be moving into supplying debit cards as it looks to expand its reach into the wider payments world. In a statement on its website, iZettle CEO and co-founder Jacob de Geer welcomed the deal, which he said would allow the company to "join forces" with PayPal. "The opportunity to become part of PayPal was too good to pass up," he said, "The global scale and 19 million merchant relationships that PayPal has enables us to move faster and reach further than ever before. Combined with the iZettle brand, capabilities and talent this means we’re ready to level the playing field for small businesses all around the world." "By joining the PayPal family we’ll become iZettle with superpowers and jump on a fast track to realise our vision." The all-cash deal is PayPal's biggest-ever acquisition following its divorce from former parent company eBay in 2015, and comes just weeks after iZettle, which currently operates in 12 countries around the world, filed for an IPO as it looked to expand.